It's true - comfort and style can coexist. 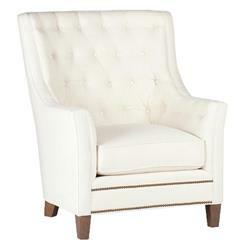 Proof positive is this classic contemporary wingback chair with tufted upholstery and a double row of nail head details on the front. Custom made proudly in America, please allow 8-10 weeks for production.